I love the frame--turned out great. 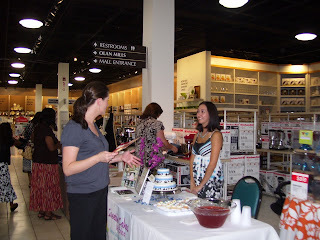 The bridal expo looked like fun! 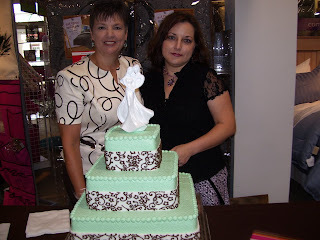 Wedding cakes have so much more detail than they did back in my day...I sound old don't I...LOL! Your "Paris" project turned out so great! I love it! Those wedding cakes are so elaborate! This looks like it would have been a lot of fun to browse through. Even though I'm not a bride! Aaahh such sweet phtos of your event.. 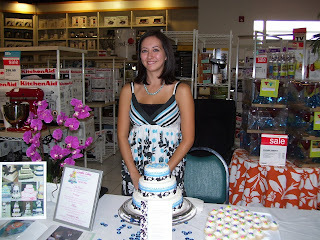 The cakes are too pretty to eat tho..Your project turned out sweet too !! You made it sound soo easy.. Hoping you have a wonderful week.. Falls' a comin'.. 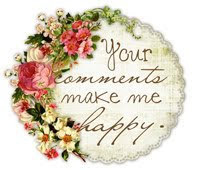 Thank you for stopping by my blog and leaving a nice commeent. 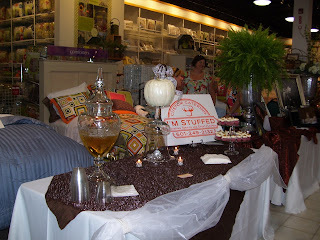 The bridal expo was so interesting, what a great business to be in. 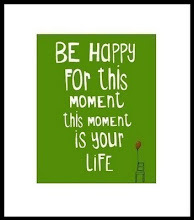 GREAT post!!!!! 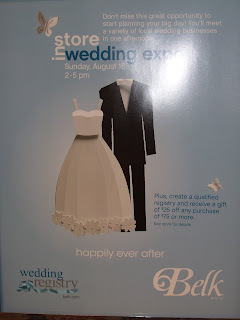 The wedding expo looks like so much fun!! I LOVE those cakes!! You make me want to marry my husband again! The cakes look so divine. I love your Paris project. Don't forget to show off your booth. As for the decals, it was easy to use. Just soak in water and apply. You can get them on ebay for cheap. Don't forget to share your decal projects! 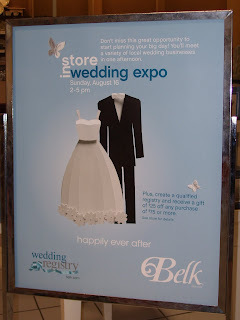 Nothing like a good wedding expo. Great result with the frame. 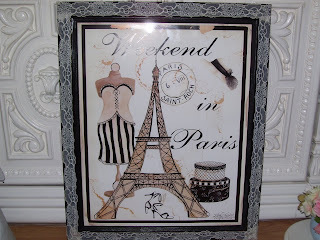 And I am LOVING the Paris picture you made! Where did you find that print? I want one. It turned out so cute. Will you post some pics of it in your booth? 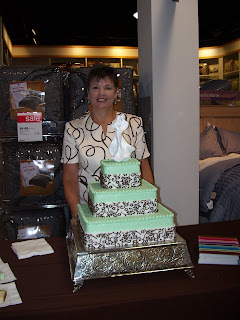 I love the fancy cakes ~ since my hubby and I got married by a justice of the peace we never had a wedding cake. 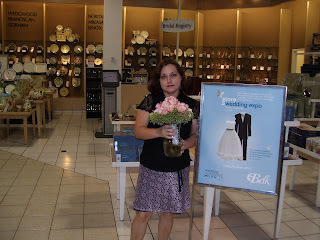 Next year will be our 25th anniversary so I told him I want a really pretty cake and pink roses!! 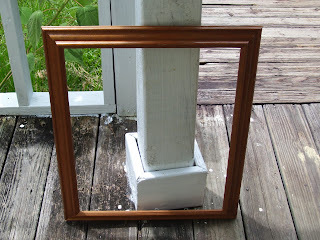 Nice job on the frame ... very pretty. The expo must have been fun. 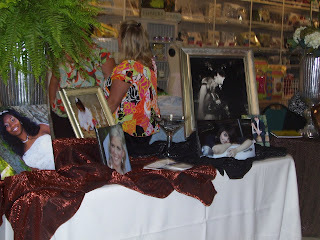 I love wedding stuff! !